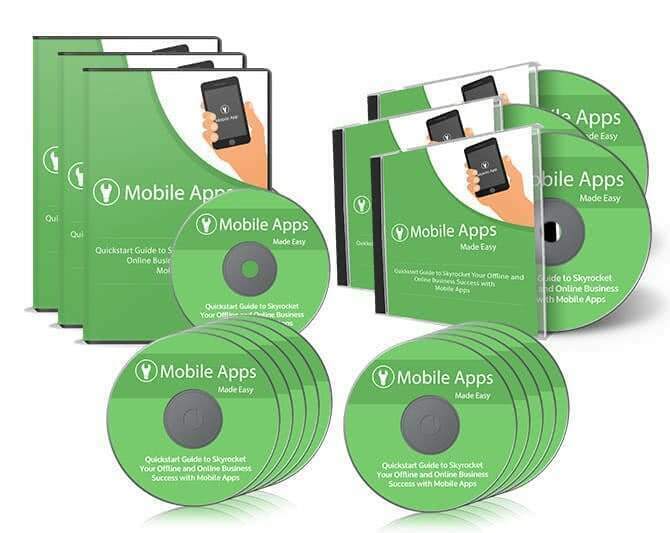 Learn how to create and launch a business mobile app and skyrocket your online or offline success with the mobile apps made easy video course. We are talking about a 99% Open Rate. Can you imagine what that can do for your businesses? Would you like to Skyrocket your offline or online Business Success by only Creating and Launching your Business Mobile App in just a few minutes from now guaranteed? …this step by step “Mobile Apps” Training System is going to take you by the hand and show you haw to quickly skyrocket your business success in the shortest time ever for just going mobile. Considerably grow your army of potential clients. …Read on as we reveal how you can quickly become a Mobile Apps expert and easily tap into a 99% Text Message Open Rate Platform! Hi there fellow lnternet marketers and business owners. depends on the Mobile Presence your business has, and that is a hard fact. …If you don’t have a Mobile Presence, you’re already losing a great deal of customers who actually are looking for your business and services already! Would you like to signiﬁcantly expand your marketing reach? Do you really want to get the most out of Mobile Apps and don’t know when or how do it? …If you don’t have a Mobile Strategy you can’t connect with well over half of your audience! Do you realize how volcanically hot Mobile Apps is getting at this exact moment? Highly Effective Mobile Apps Training System, businesses and marketers will learn exactly how to do it. doing, and even worse for not knowing how to create a Mobile App! to worry about is reading every single word of our training and applying it. beneﬁts to you and your business. possible, using the most effective tools and in the shortest time ever. level or success and reach all or your business plans. …yes, now you will have the power to easily and quickly get your business on Mobile Apps by applying the latest and most effective techniques! 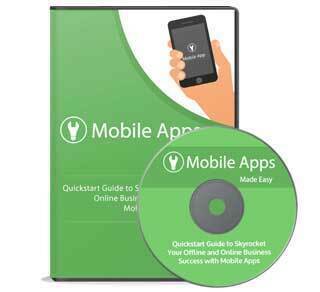 safely skyrocket your Business on Mobile Apps in the shortest time ever. Our training is more than enough to get you where you really want to be using the immense power of Mobile Apps, our training has come to give you exactly what you need in order to reach all or your business expectations or success. It breaks up the whole training into easy—to—follow steps so you can make sure you have kept every single piece of advice taught in the training. This helps you to track your progress and will help you to reach your goals. This is a really cool mind map outlining the complete training. It gives you an overview or every step you are going to apply. You can print it out as well for better handling. Our high quality training system comes with a lot of great proven techniques. Extras: Audios, Cheat Sheet, Mindmap, Report, Resources, Training Guide, Transcripts.